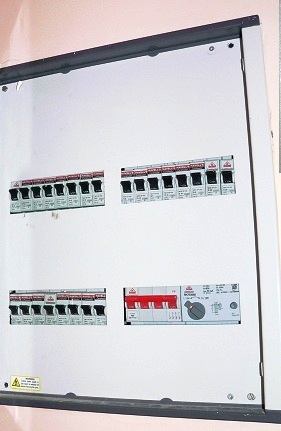 The main fuse boxes were already rusted out – builders tout using standard equipment from brand-name manufacturers and hence it was a surprise when Havell branded equipment rusted out so quickly. Apparently, manufacturers are known to provide the builders with seconds at a huge discount which probably explains the rust. 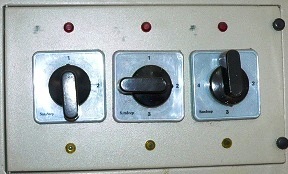 The panel fuses had ratings between 6A and 30A which would have sufficed to plug-in all standard equipment in the house. The problem though was that these fuses were randomly connected to the various plug-points which started tripping as soon as we started plugging in appliances. This situation could have been easily addressed prior to handover, had the builder tested it out. Several power-plug points and inverter connection circuitry were requested as upgrades and we noticed they were only partially included at handover. 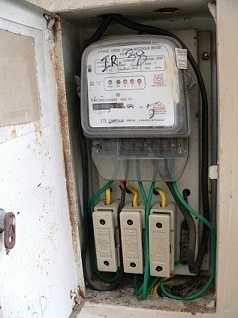 We could get the power-plug points to work after they were associated with the right fuses, but the builders had totally neglected to include the wiring for an inverter connection. The items in the above list are easily addressed by a good electrician. 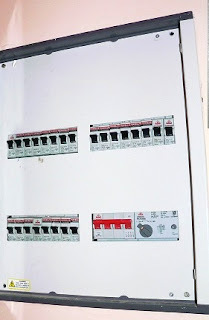 The main fuses were fixed at around Rs 100/- or so a piece and inverter wiring from the panel fuses to power-points setup previously for the purpose was Rs 800/-. Kerala encounters frequent power failures and so many choose alternate arrangements to receive continuous power. Newer residential projects offer backup generators which is an excellent option as no additional equipment needs to be installed inside one’s premises. Generators are popular for household use as well, but we availed of an inverter as our folks had a Honda generator that was really noisy and required a certain level of on-going maintenance. Seems that the generators of today are much better, but we are not sure by how much. The market is rife with misleading information on inverters. On inquiry, we received several offers from small-scale operators who can build one either using no-brand products (economical) or branded equipment (more expensive). While many of them would make it sound as though those are the only parameters involved for an inverter, the reality is more involved. Regular vs Sine-wave Inverter: Regular inverters (aka modified sine wave inverters) produce an output closer to a square wave than to a sine wave. The output is sufficient for most household equipments with the exception of certain laser printers and specialized equipment. A downside with such inverters is that motorized equipments such as fans will have a humming sound when operating on inverter power. As pure sine-wave inverter produces a near perfect sine-wave similar to regular household power, such problems are avoided. A sine-wave inverter can cost 15-20% more than a regular inverter. Regular vs UPS-mode Capable Inverter: During electrical outage, the inverter supplies power from its output. Though the switchover is almost instantaneous it is not continuous. Devices relying on continuous power such as a home PC will not function well as the computer power will go down during this switchover. With an inverter in UPS mode, the problem is bypassed, as power is supplied continuously from the inverter causing no switch-over when supply disrupts. A more optimal solution is to use regular mode pure sine-wave inverter with a compatible UPS for the home PC - UPS does not work well will the older square-wave inverters. The main reason for vendors to include a UPS mode is for the system to be sold as a computer accessory - computer equipment and accessories have significant tax benefits and so the net cost to the consumer is reduced. Laptops are spared of this switchover-problem as it is powered by its own battery. Modern modems and wireless routers recover quickly from a power switchover and consequently the need for UPS mode in households has lessened over the years. Battery and Inverter Capacity Selection: Choosing the right battery capacity and a matching inverter is critical when setting up inverter power. In many cases, vendors choose to let slide the topic of battery AH rating and promote the battery with the lowest rating at the lowest cost. Choosing to minimize cost on battery is being penny wise and pound foolish for the resulting inverter will have very limited backup capacity. Battery price increases rapidly with AH rating rise – 125AH batteries are almost twice as expensive as equivalent batteries rated at 75AH. Battery capacity indicated in AH specifies how many Amps it can supply, assuming it lasts an hour. A 75AH battery can supply 75 amps for an hour, 10 amps for 7.5 hours, or any other combination adding up to 75AH. The two types of inverters are the 12 volt inverter fed from a regular 12V battery and the 24 volt inverter whose input is from two such batteries. In general, inverters rated over 1200VA require two 12V batteries. To arrive at what to select, the first step is to start with the average expected load and how long the backup power should last. For e.g., if the average load is estimated to be 200W and power backup is desired for 10 hours, battery capacity should be 200AH for a 12 volt battery (200W/10 = 20 amps; 20 amps x 10 hours = 200AH) or 100AH for a 24 volt battery (200W/20=10 amps, 10 amps x 10 hours = 100AH). Another variable that needs consideration while selecting battery capacity is the discharge rate. The listed rating is for a 20-hour discharge and the capacity decreases to around 50% of the listed rating for a one-hour discharge. So, as the average load increases, you need more battery capacity. In this e.g., since the discharge is 10 hours, the battery capacity decreases to 90%. So for 24 volt battery a rating of roughly 110 AH is required as opposed to the 100 AH calculated above. Warranty: Inverters generally come with a 1-year standard warranty although few manufacturers offer 2-year warranties. Once the warranty expires, a maintenance contract can be opted for at roughly 25% of the cost of the inverter per year which, in our opinion, is high. Battery warranties come in all guises with no-name batteries sporting just “verbal” warranty from the local guys to 4-year written warranties for Exide batteries with good reputation. Depending on brand name, warranty, and AH rating cost varies. Solar Inverter: Solar home power systems drawing along similar lines have started appearing in the market. Currently, such systems are suitable only for selected areas of the house and require special wiring and compatible devices. Our choice was a 2000 VA Hykon Pure Sine-Wave UPS Mode Inverter matched with two 12V Exide batteries rated at 100AH each. The inverter had a 1-year warranty while the batteries had 4. The water in the battery needs to be compensated with ‘battery water’ (not distilled water) every 2-months or so (battery water is available at petrol stations). So far that has been the only maintenance we have done in our 18-months of ownership. The total cost came to Rs 33K – battery pricing had increased by around 15% right before our purchase and unfortunately that didn’t help matters. The 2000 KVA inverter with UPS mode was around Rs 9K. Performance-wise, it has worked flawlessly and we are yet to be faced with a blackout due to inverter drain. On hindsight, slightly lower capacity would have served us too. Also, as we predominantly use laptops around the house the UPS-mode was never used - as mentioned, vendors give UPS-mode mostly for tax savings anyway. 2012 Update: The inverter broke in September 2012 - apparently, a transformer outage caused it and the service guy said the main board was toast. Since it had only a one-year warranty, fixing it would cost upwards of Rs 4000 and a one-year service plan would be an additional Rs 2500. Went with buying a new smaller inverter (900 VA Hykon Pure Sine-Wave UPS Mode Inverter) for Rs 8000 and Hykon took the old one back as scrap for Rs 2500. 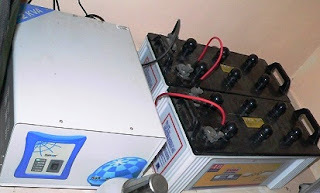 The battery connection was changed to "serial" instead of "parallel" so as to be able to connect to a 12V inverter as opposed to a 24V inverter previously - the backup capacity will be slightly reduced under this setup. We have come to realize that for our house the 2 KV one was too much capacity. Also, this change will let us migrate to a single battery eventually once the two Exide ones run-out. Hykon's new inverters come with a 2-year warranty compared to 1-year warranty previously - this also made it an easier decision to take this route as opposed to fixing the previous one. 2015 Update: We noticed the Exide battery capacity going down after the 2-year ownership mark. It was serviced once and that experience was less than perfect - it look them two months and the standby battery they gave was also not very good. At close to the five-year ownership mark, the capacity had gone down to the point were the inverter drained completely after a couple of hours of modest usage. These batteries were supposedly premium ones with 4-year warranty but we would not rate them very high, given our experience. In February 2015, we opted to replace the two Exide batteries connected serially with a single 100AH Hykon battery that came with a 3-year warranty. They were quoted at Rs 9200+14.5% tax and Hykon agreed to take back the two Exide's at Rs 1100 each. The net cost to us was Rs 8334. The new setup has worked very well in the last eight months of ownership.